Can China keep growing steadily in 10 years from now? If you are interested in investments in stock markets, you may hear a lot of stories in China this year since it has been rising dramatically and its market capitalization hit 10 trillion USD for the first time. I am not an investment adviser for stocks. However, I am interested in sustainability of Chinese economy in the long run. Because China is already the biggest economy in the world in terms of GDP using purchasing power parity (PPP) according to the IMF. 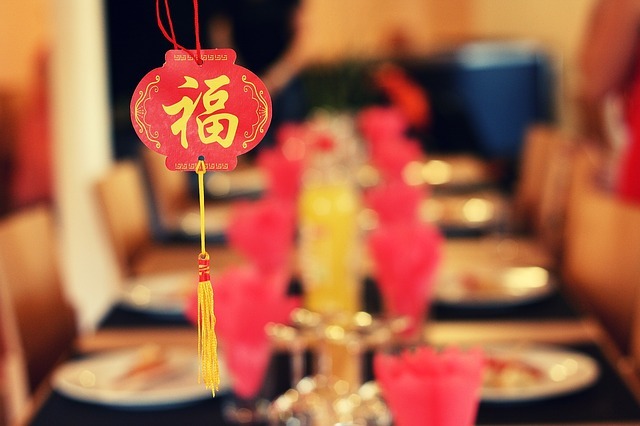 It means that the growth of Chinese economy affects a lot of the other countries’ economies such as Asean countries. One of the easy way to understand what is going on in China is to compare with Japan. There is no need for complex economic theories here. Just compare to find out what are similar and different between them. 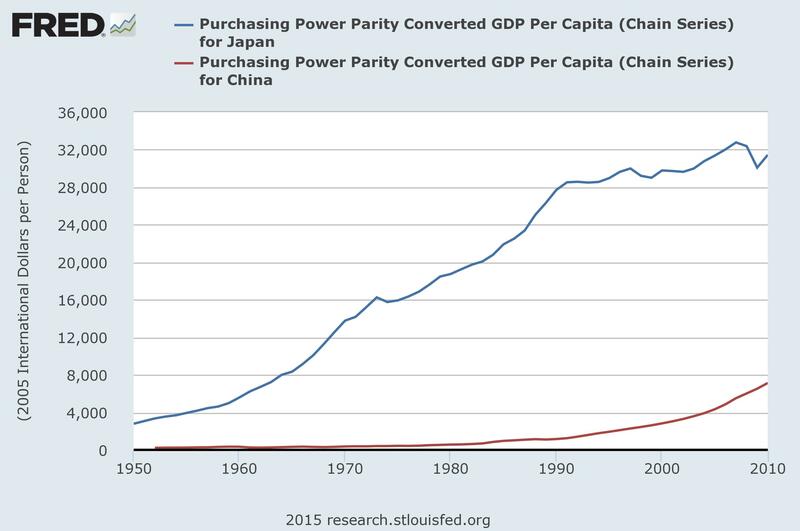 I would like to compare Japanese economy in the 1970s, 1980s and the current situation in China. First, I would like to compare the GDP per capita between Japan and China in order to understand the path of economic growth. In this article by the BBC, it is pointed out that GDP per capita of China based on PPP is 11,868USD. This number is similar to the number of Japan in 1968 (11,292USD) according to FRED. In the 1970s and 1980s, Japanese economy managed several crises such as oil crises and Yen appreciations. In these two decades, GDP per capita (PPP based) was getting more than two times bigger. It means that China has opportunities to grow more in the long run if it can manage obstacles effectively in the future. 2. Data technologies play a key role to develop Chinese economy. One of the biggest differences between Japan in 1980s and Current China is “Data technology”. Cloud, Mobile devices, Internet, IOT and Big data are available in major countries all over the world now. There was nothing like that in Japan 1980s. It means that every industry can be developed rapidly, effectively and with less impact to the environment if they can introduce data technologies effectively. China has already suffered from air pollutions in cities such as Beijing. So developments, with less impact against the environment are desperately needed to make economic growth sustainable. Another big difference is that Japan introduces capitalism and China introduces communism. Yes, it is a big difference. But China learned and will learn a lot from capitalism and improve its social system. Especially China can learn Japanese failure since 1990, which is called “lost decades“. As the result of that, entrepreneurs are more active in China than Japan now. Alibaba, Tencent and Xiaomi are good examples of that while most of Japanese young guys want to work in traditional big companies, rather than create their startups. So I am sometimes confused which country has which system in reality. No one knows exactly what happens in China in 10 years. I would like to keep watching what is going on there. Are you an optimist or a pessimist of China?